Christina Mancuso is a trial attorney with Simon Greenstone Panatier, PC. Ms. Mancuso is an experienced trial attorney who has represented Plaintiffs in both Federal and State civil litigation cases throughout her career. Licensed in 1984, she has substantial experience in prosecuting cases as well as claims in complex Multi-District Litigation, Toxic Torts, Mass Torts, Products Liability, Pharmaceutical and Multi-Party Insurance Litigation. She has worked on foreign medical and pharmaceutical patent litigation cases. As Senior Counsel, Christina negotiated and obtained significant toxic tort settlements for clients over a number of years in a large Plaintiff firm. She has participated in negotiating extensive firm settlement agreements, client trial and agreement settlements and settlement documents for asbestos, silicosis, benzene, contamination, nuclear waste and other toxic torts cases. She managed a number of law firm departments over the years. She successfully represented a number of individual clients as well as businesses in the MDL – 2179 Oil Spill by the Oil Rig “Deepwater Horizon” by prosecuting claims as well as litigation cases. 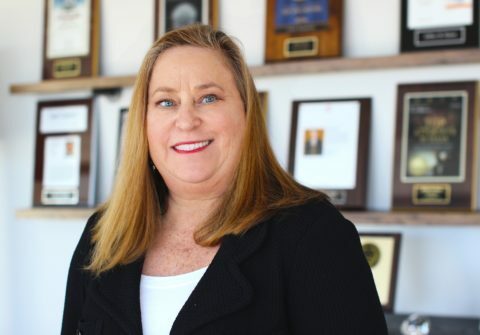 Christina obtained settlements for clients in MDL 2545 In re Testosterone Replacement Therapy Products Liability Litigation as well as in the various MDL Pelvic Repair Systems Products Liability Litigation. She established and maintained the Mass Tort Section of a Plaintiff firm handling Multi-District Products Liability cases including Taxotere , Xarelto, Hernia Mesh and IVC Filter. She is a Bankruptcy Trust Claims Arbitrator and Mediator. Christina was honored to participate pro bono in Trial Lawyers Care – a program established by the American Association of Justice which pledged to represent every victim of 9/11 free of charge – where she successfullyrepresented through appeal an injured survivor’s claims for compensation before the September 11 Victim’s Compensation Fund of 2001. Christina joined Simon Greenstone Panatier in February of 2019 and looks forward to advocacy within the judicial system to represent injured clients as well as those individuals who cannot or are not able to speak for themselves. Juris Doctorate, Baylor University School of Law, Waco, Texas – 1984.